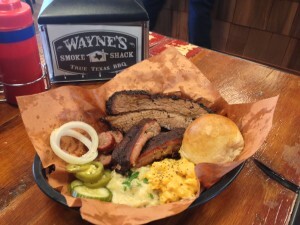 Wayne’s Smoke Shack is a meat market style smokehouse that began out of a love of good BBQ. Throughout his childhood, Wayne was fortunate to live in Central Texas where BBQ is plentiful and brisket is king. As his love of delicious smoked sausage and melt in your mouth brisket grew, Wayne began to BBQ regularly in the backyard. After many years of experimenting with new recipes, Wayne moved to Colorado in 2009 where his local quest for BBQ began. In opening Wayne’s Smoke Shack, Wayne set out to bring his creative Texas style BBQ to his new home of Colorado. 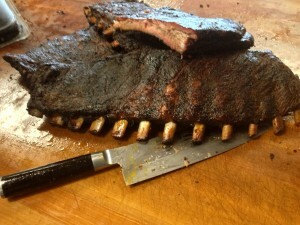 We are a lunch only establishment that opens at 11 AM and stay open until we sell out of meat Tuesday through Saturday. All the BBQ is sold by the pound, as you can order as little or as much as you like. What Is True Texas BBQ? True Texas BBQ is the right balance of smoke, spice, and succulent meat blended together in harmony. makes your mouth water just from the smell. has the perfect balance of flavors. has an amazing flavorful bark. has just the right amount of smoke. is moist enough that BBQ sauce is not needed. and most importantly, it tastes as delicious as it looks. We believe in slow smoking all of our succulent cuts of meat using the highest quality spices. We feel this is what makes us Wayne’s Smoke Shack. 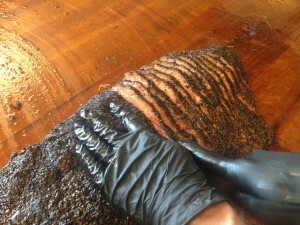 We believe the best way to achieve the maximum BBQ experience is to have the finest blend of rubs and sauces available. We have artfully crafted our own unique rubs to complement each piece of meat that we serve. We take our BBQ very seriously around here and always aim to make our BBQ at a level where no sauce is needed. However, if you do prefer to add a little saucy addition to your meats, please try our variety of BBQ sauces to complement your True Texas BBQ.